Derrick Sayer :Butterflies. A ‘pair poster’. 1952. 101 x 63 cms (40 x 25 inches). each. Printed by Waterlow. Image poster: 5cm tear on right hand side, 3cm tear on top edge; slight loss at lower right corner; creases. 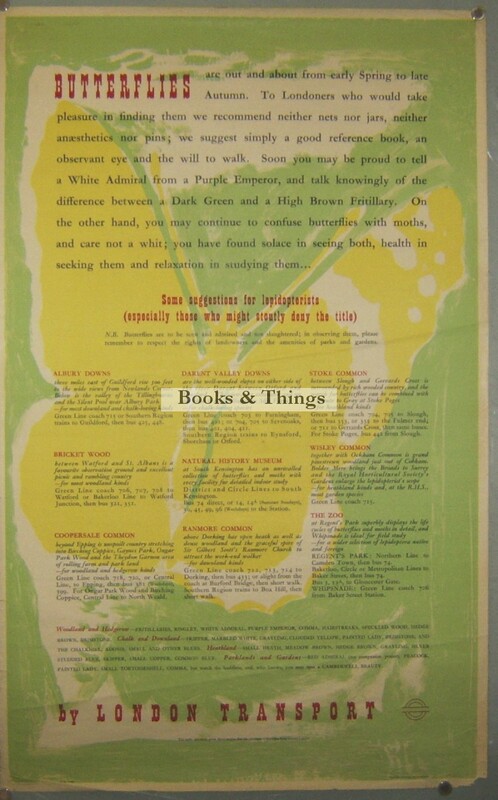 Text poster: slight loss at lower right hand corner; marginal tears, creases. Category: London Transport Posters. 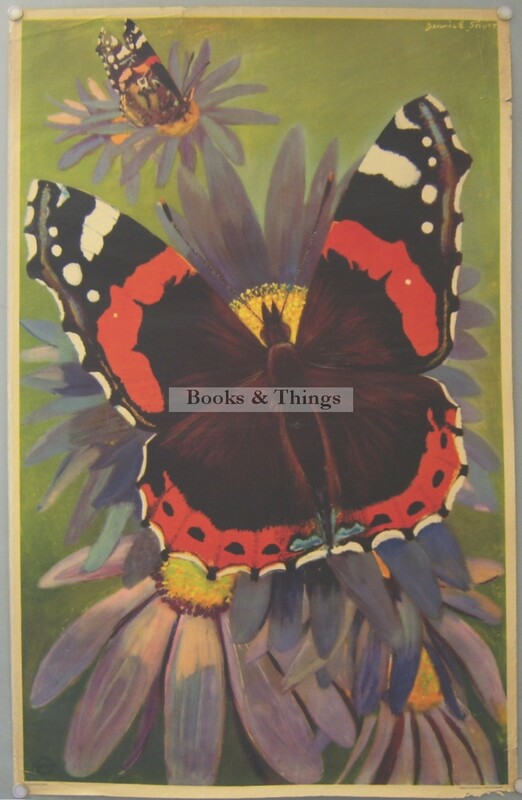 Tags: Butterflies poster, Derrick Sayer poster, London Transport poster.